Sometimes, it’s not that easy to choose a color for your wedding decoration. I mean, many bridal couples want to create a specific decoration and be different from others. That’s why I am here to help you in finding the perfect color for your wedding decoration. Besides, if you plan to get married this autumn, I would suggest some specific colors. My first proposal is Warm Olive ! 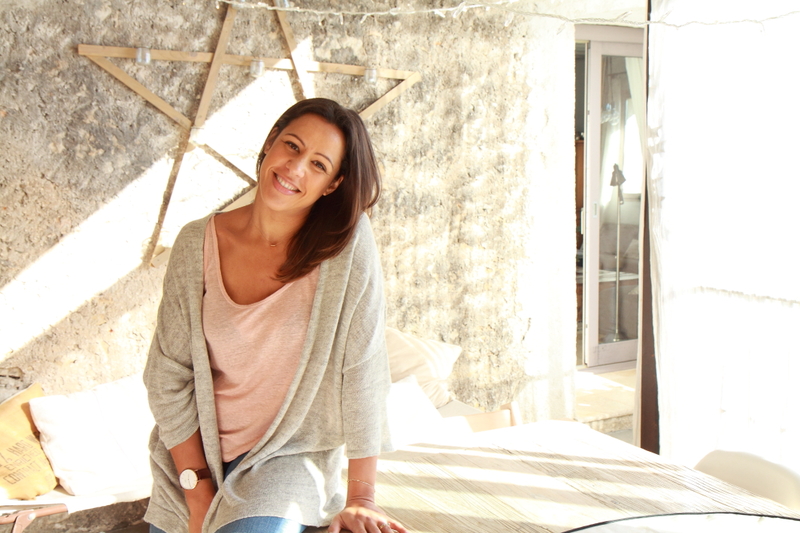 As a matter of fact, warm olive is one of the colors for fashion this autumn. 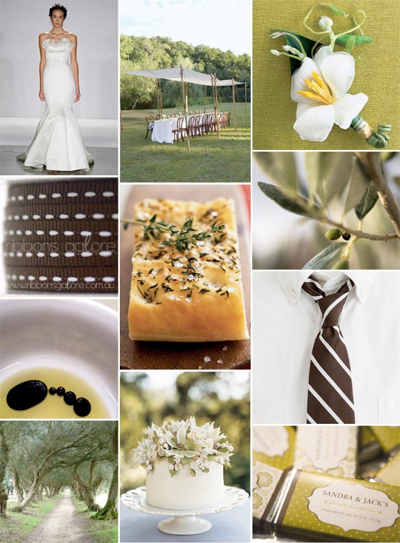 So do not hesitate to use warm olive color for your wedding decoration. Below, you’ll discover beautiful ideas. 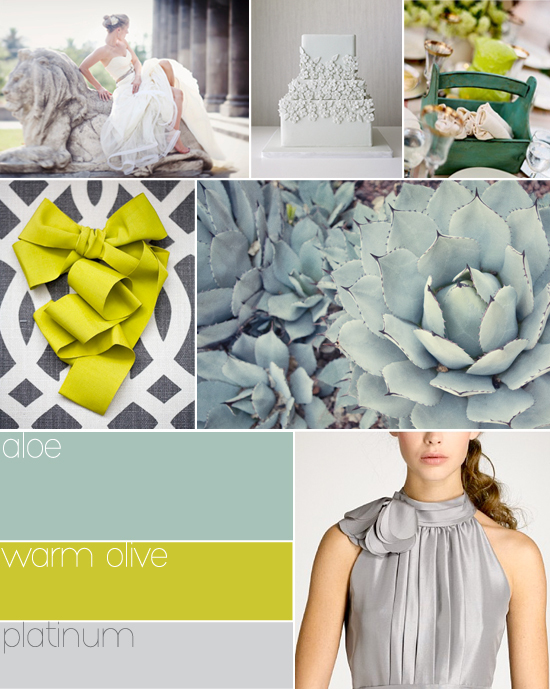 Indeed, I think platinium, warm olive and aloe create a very elegant wedding decoration. 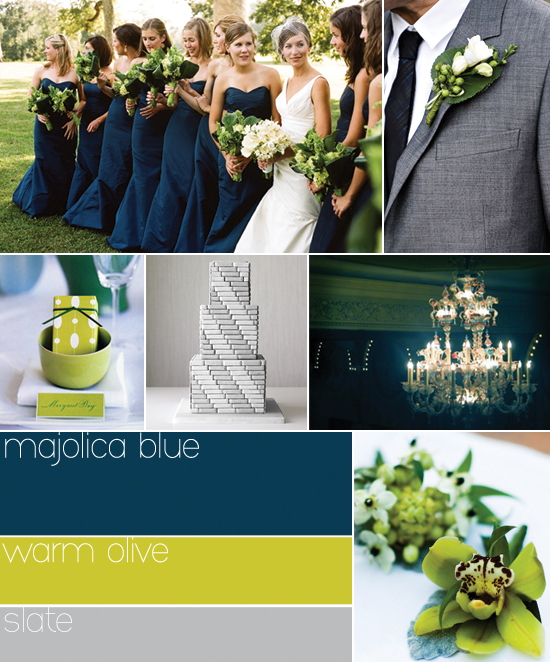 You can also choose Majolica Blue and Warm olive for your wedding decoration. Thanks to these colors, you can create a very different decoration from other weddings. So what do you think of these colors for your wedding decoration ? Trends for wedding decoration !